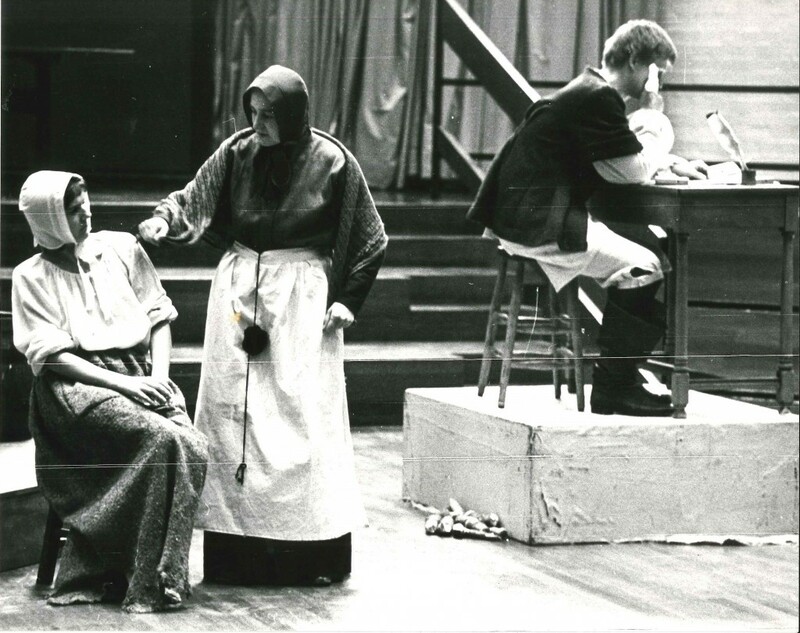 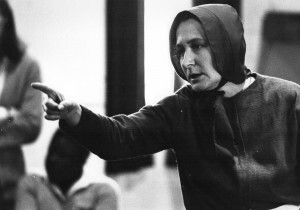 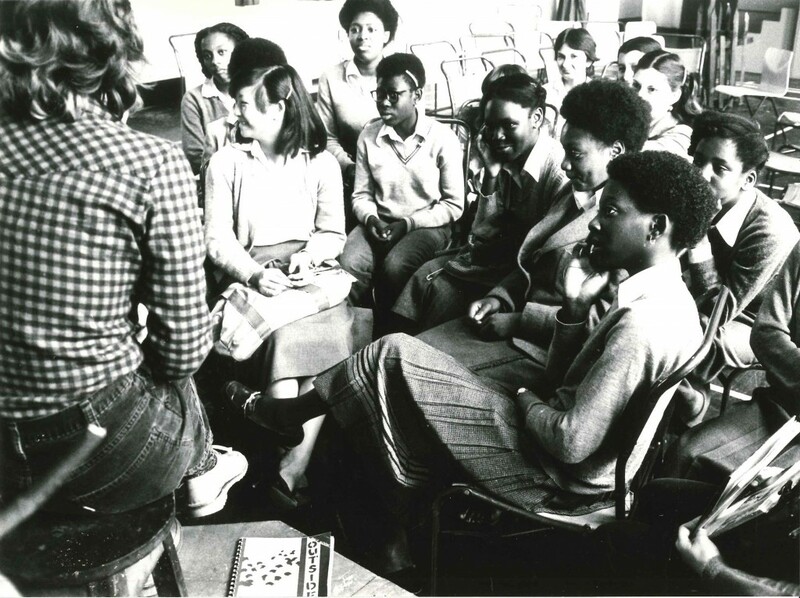 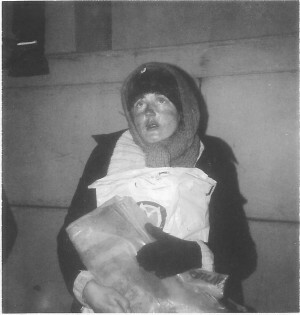 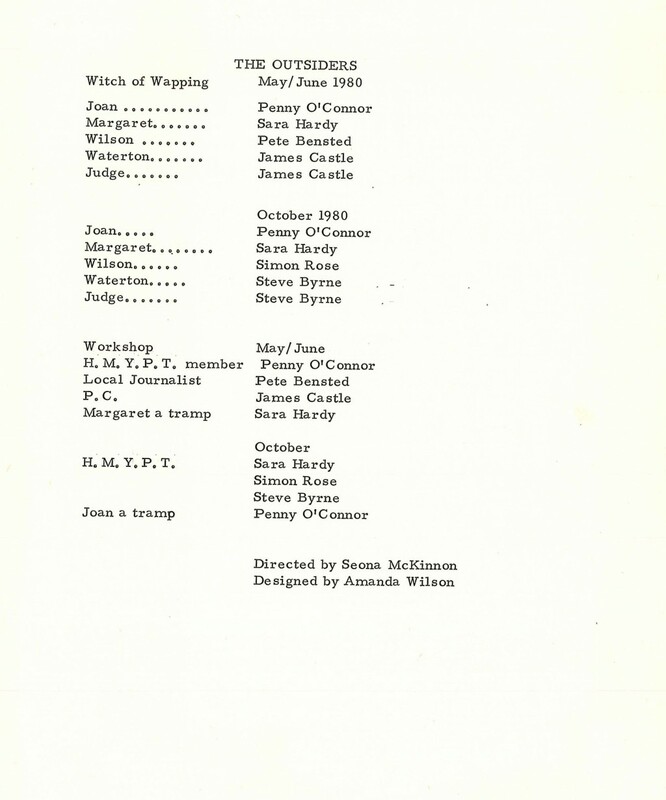 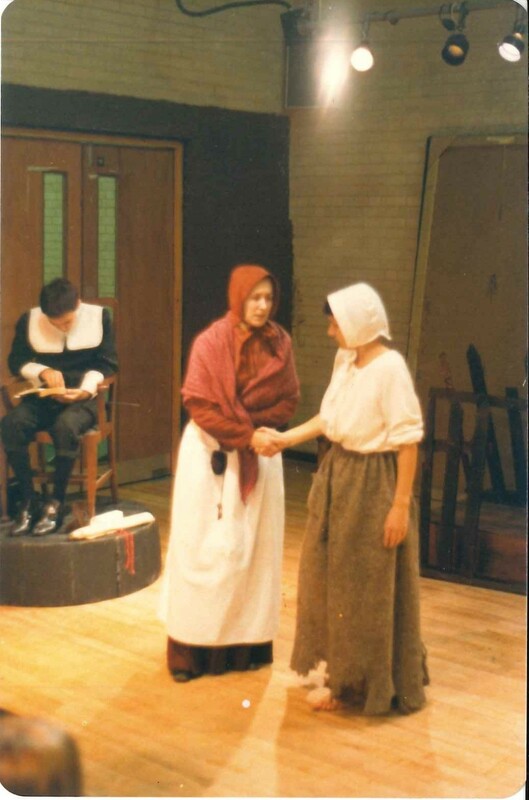 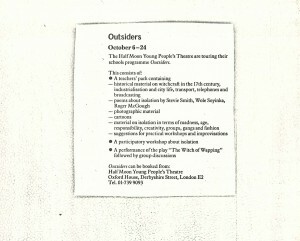 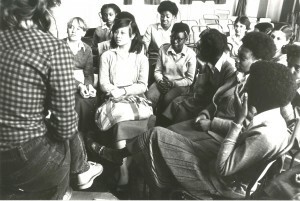 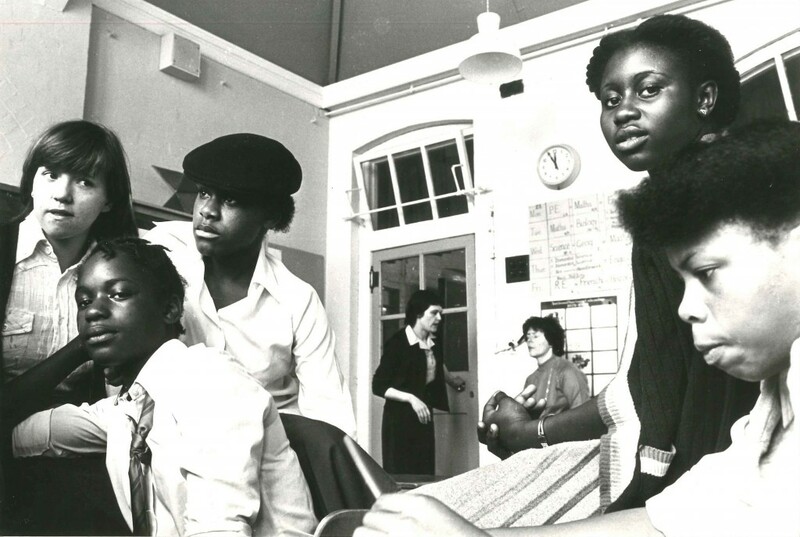 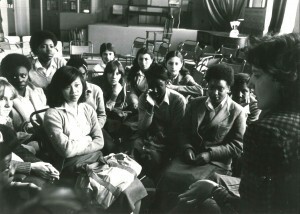 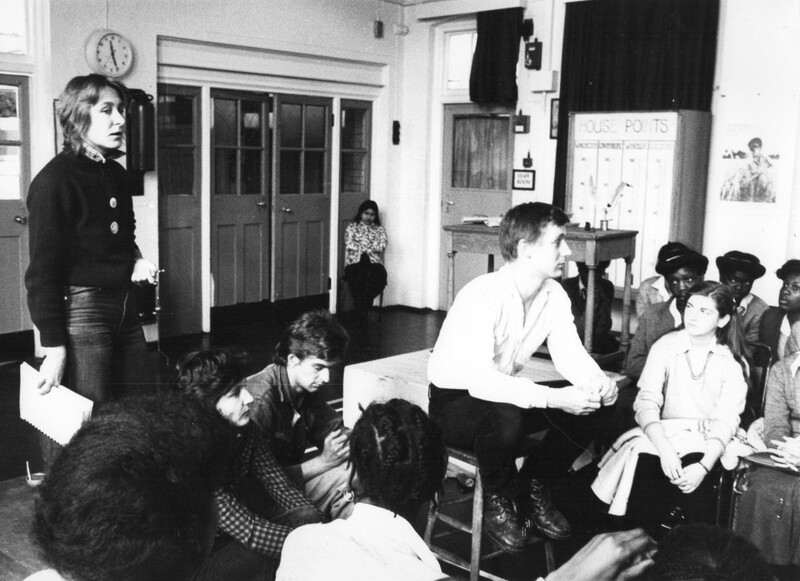 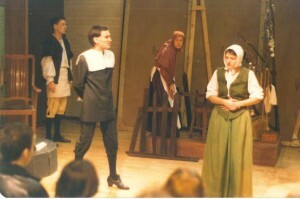 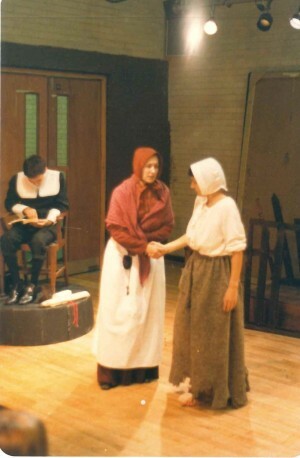 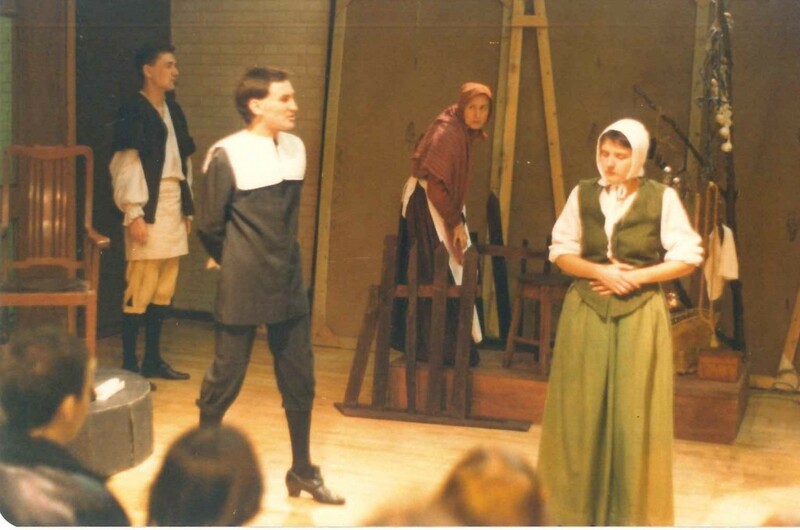 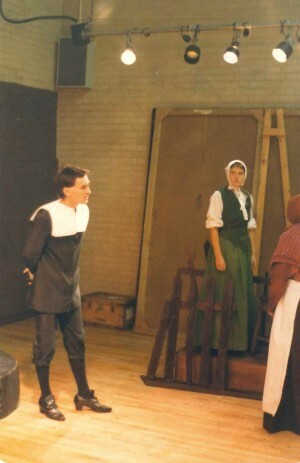 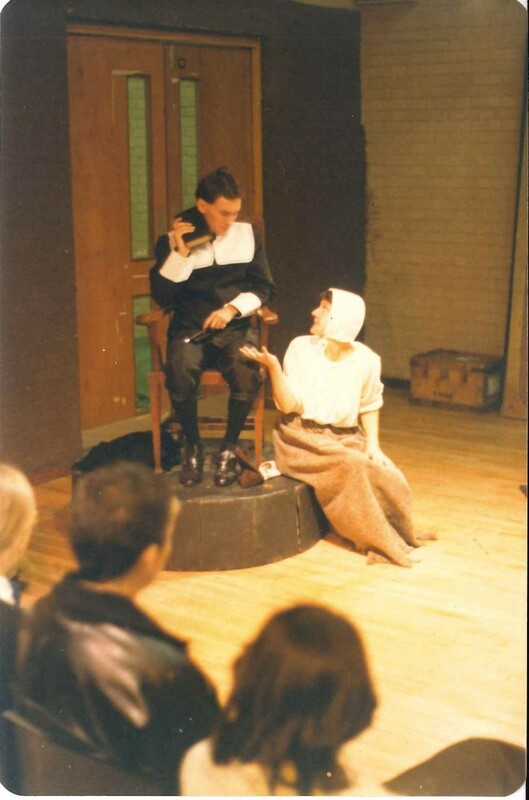 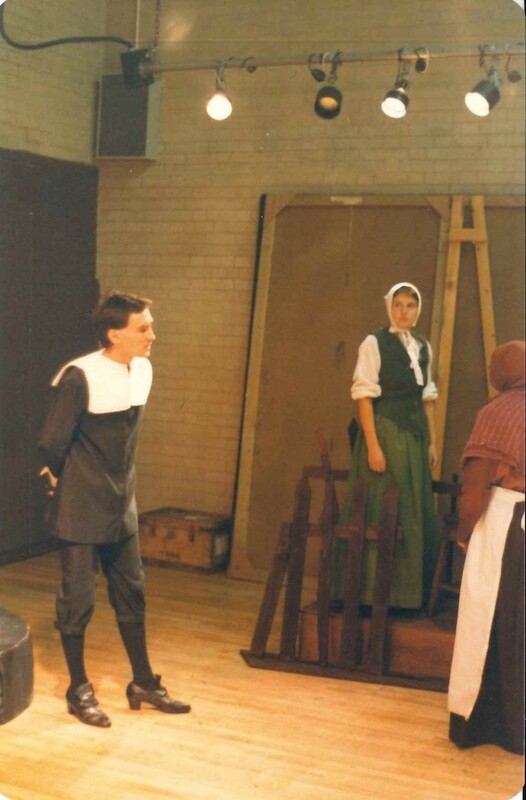 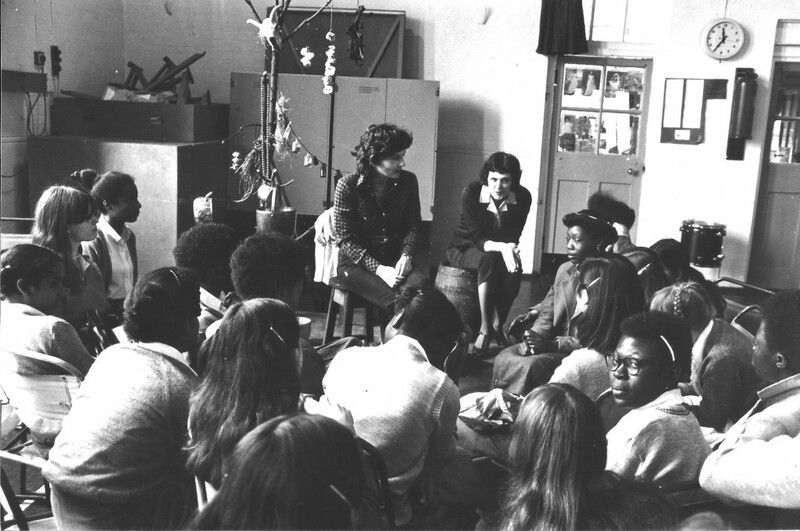 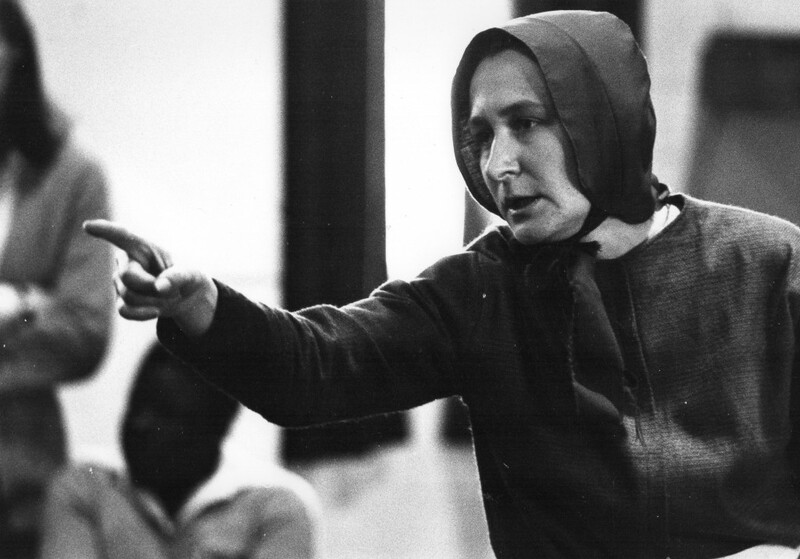 The Witch of Wapping was a part of the theatre in education programme Outsiders. 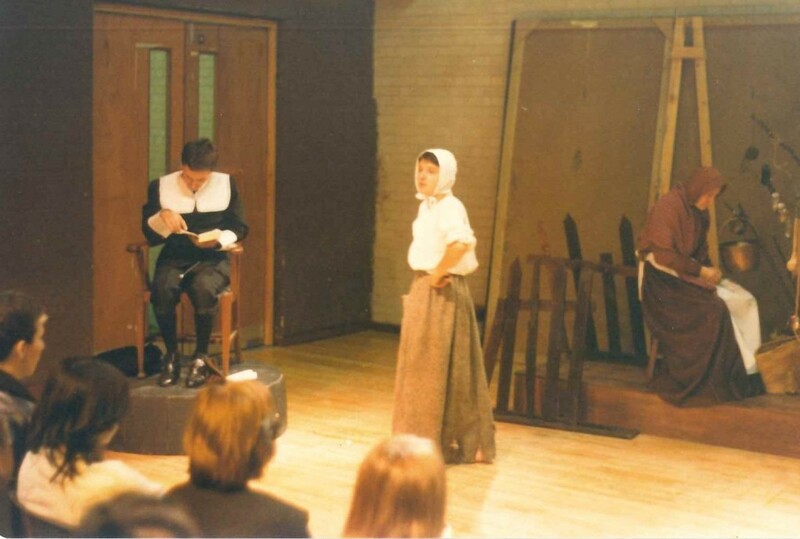 The play was set in the East End of London in the mid seventeenth century, and is based on the story of Joan Peterson, outcast and condemned as The Witch of Wapping in 1652. 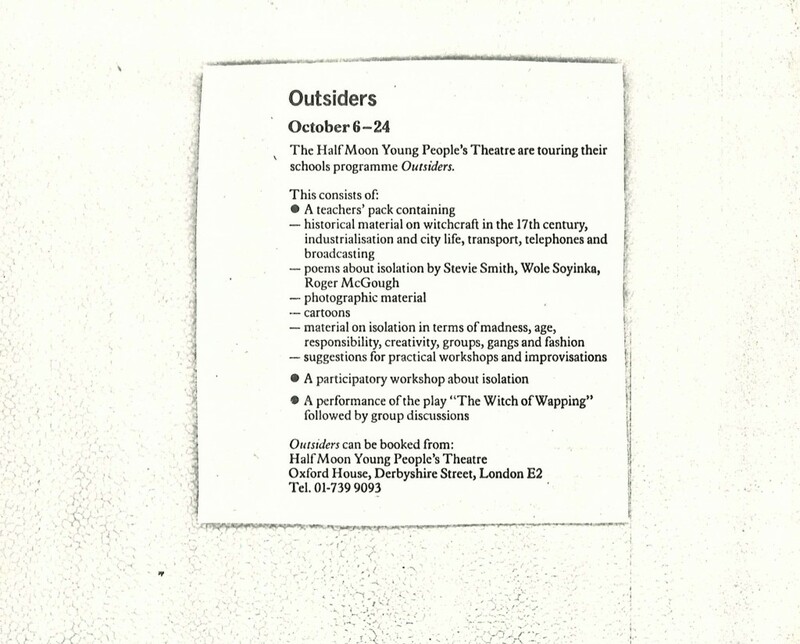 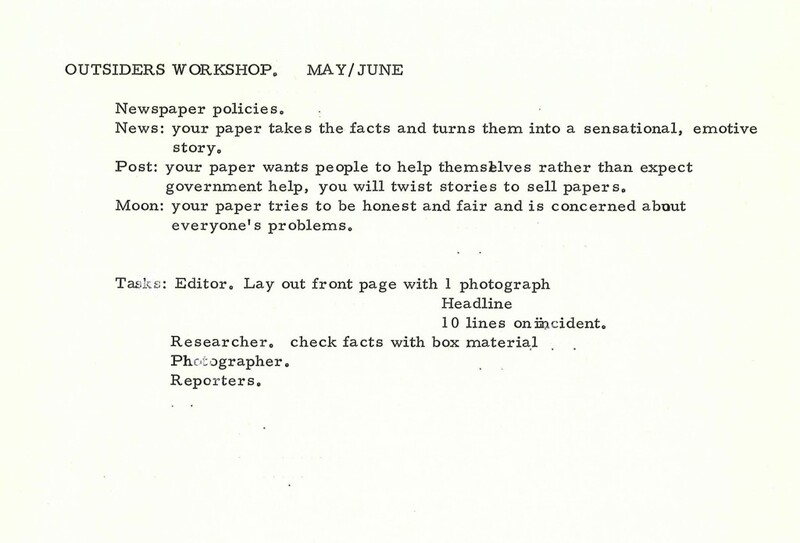 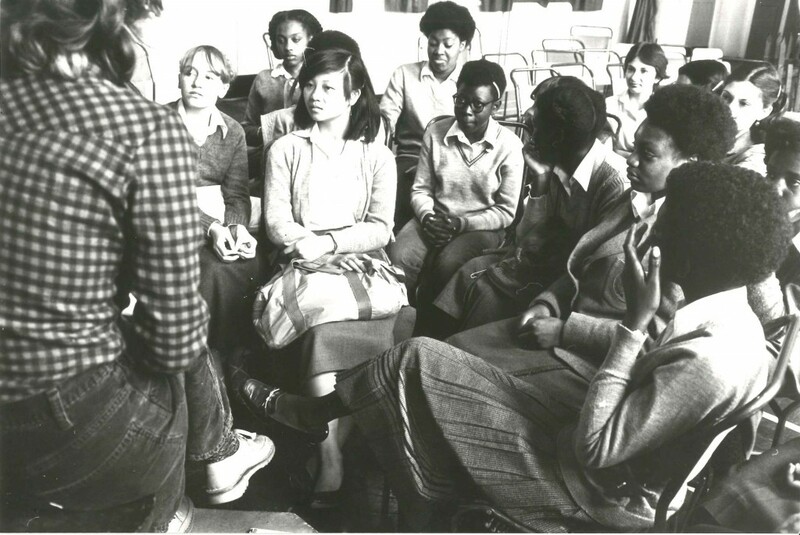 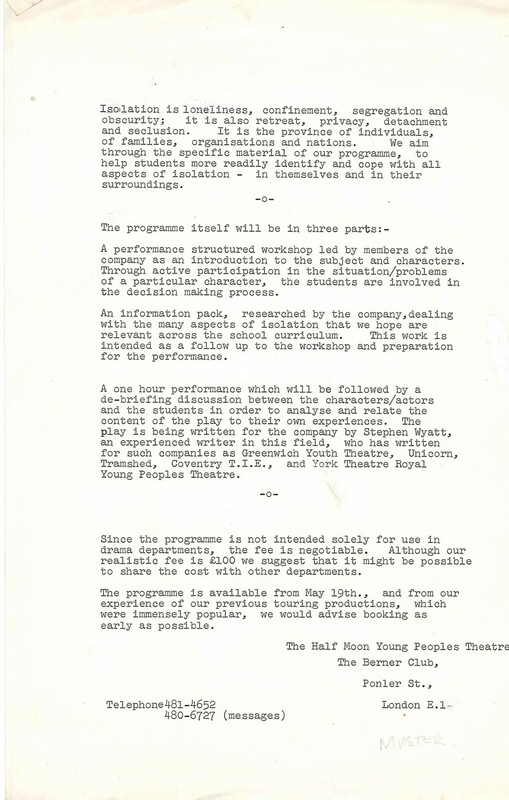 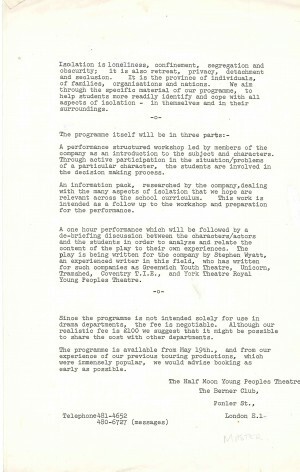 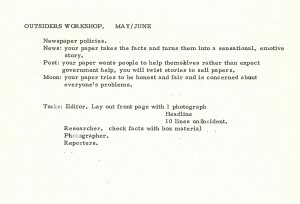 Although the plot was set in the past, the roots of the dilemma were unchanged in the 1980s, and these were explored and underlined in more detail in an accompanying workshop and the material in the pack that were part of the Outsiders education programme. 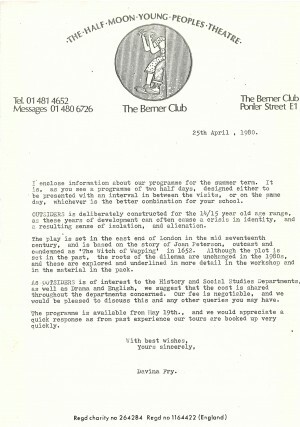 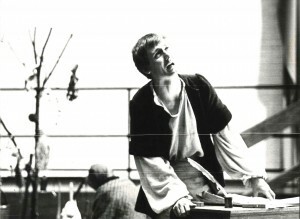 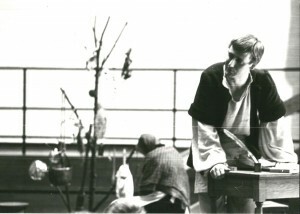 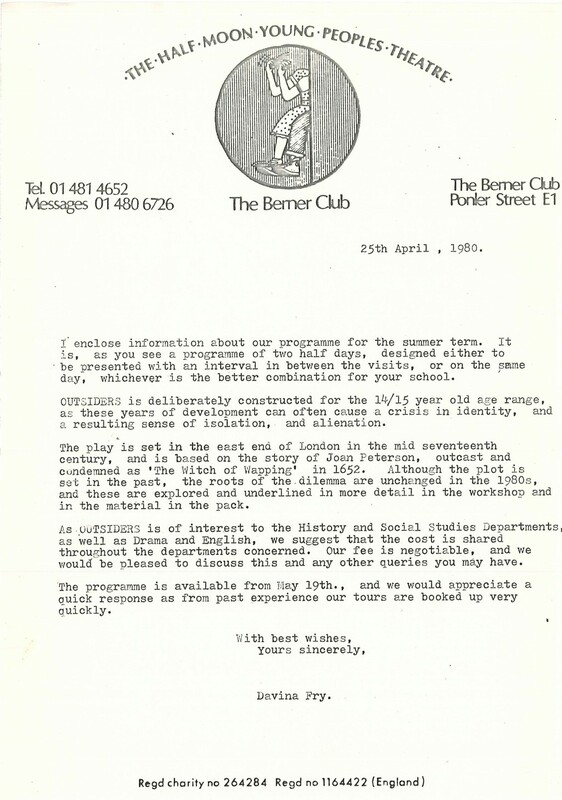 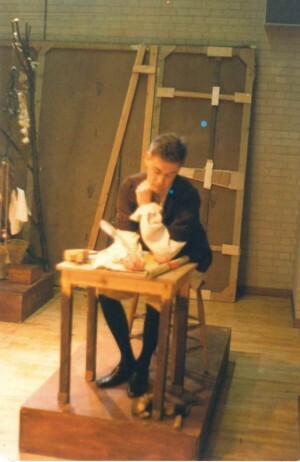 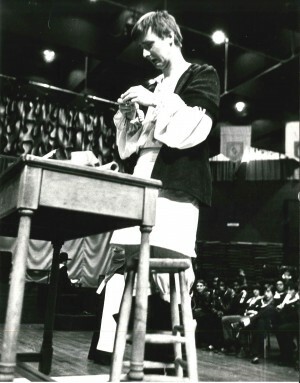 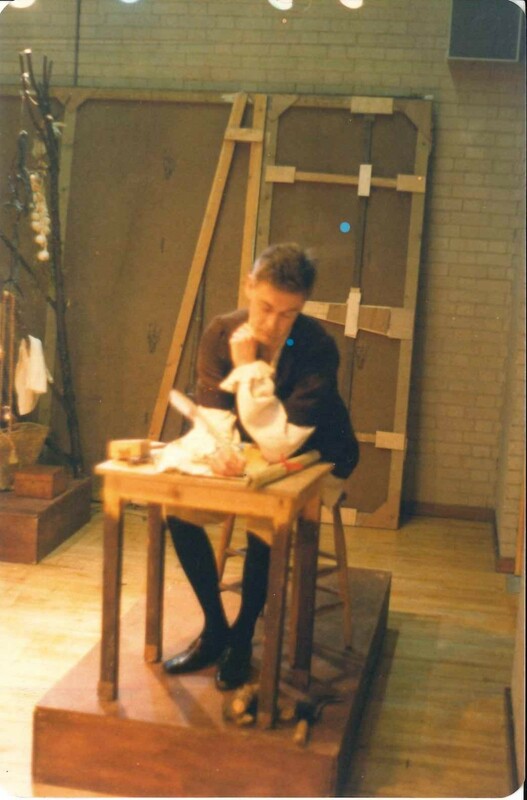 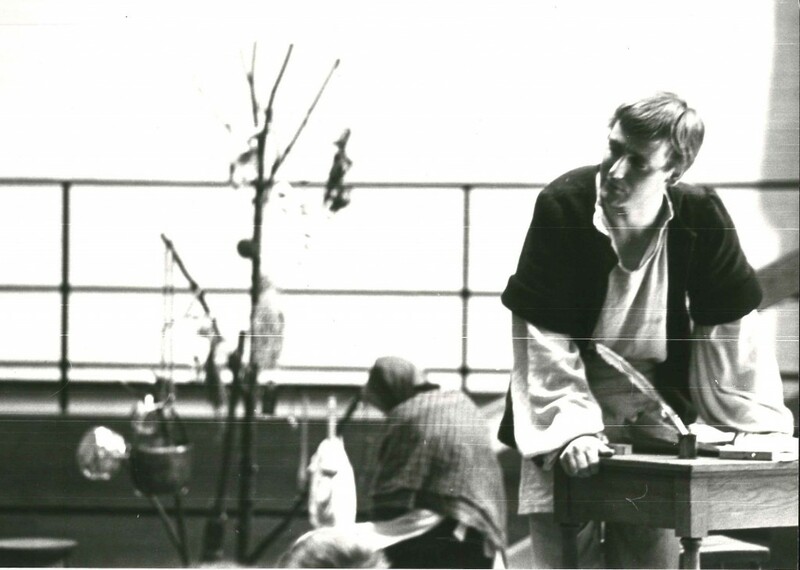 Peter Bensted was an actor who worked at Half Moon Theatre from 1976-1981. 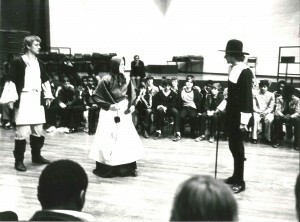 He talks about the interactive performance piece, The Witch of Wapping. Interviewed by Beccy Allen. 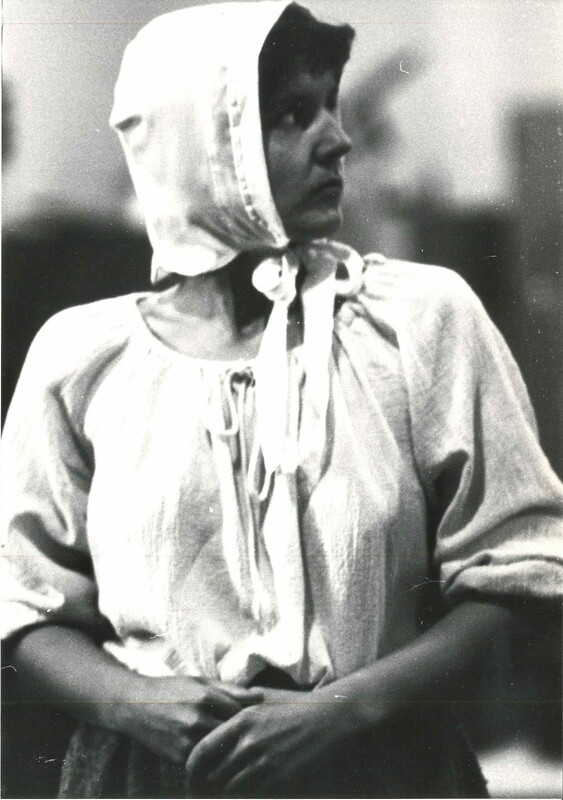 The Witch of Wapping was about the nature of being an outcast. 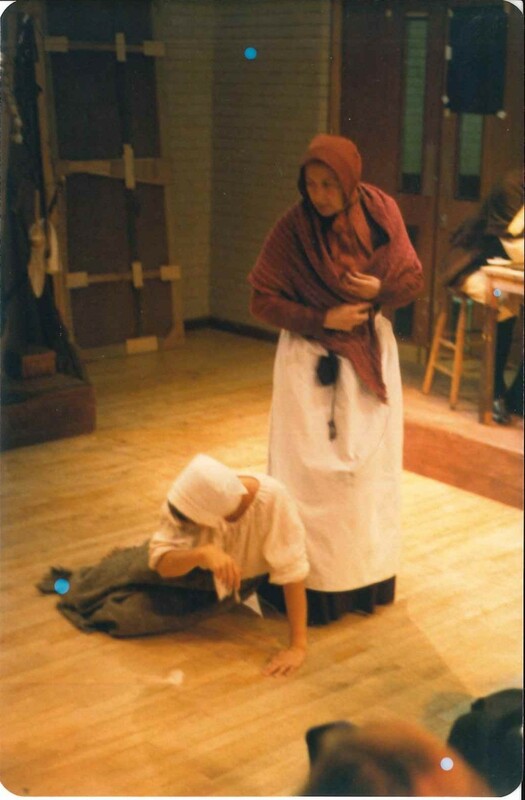 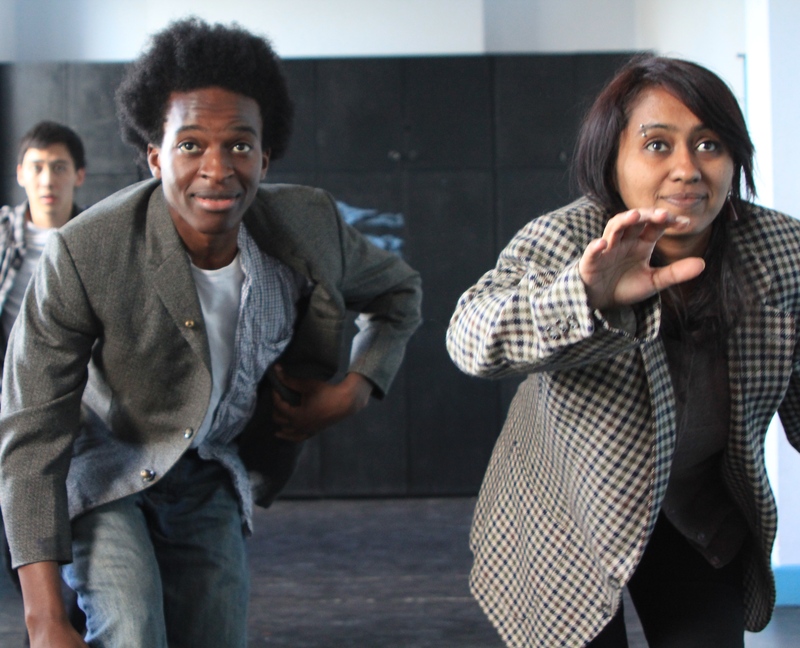 Apart from the show we did an improvised workshop with the students, a supposed bag lady walking in on them, until a policeman took her away – they decided how she had become a bag lady and we, the actors, improvised scenes from her life that they came up with. 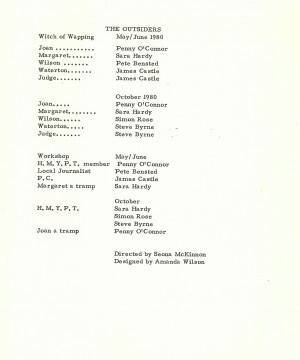 The witch was a real character in the 17th Century and was the last witch to be hanged, I believe. 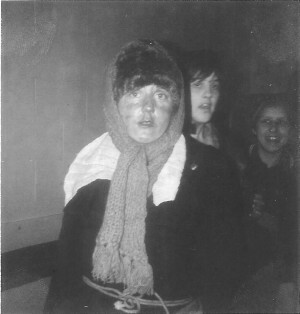 She was accused of keeping a pet squirrel as a familiar and it seemed she was more of a healer which the local people got scared about and a builder/architect accused her of using magic powers. 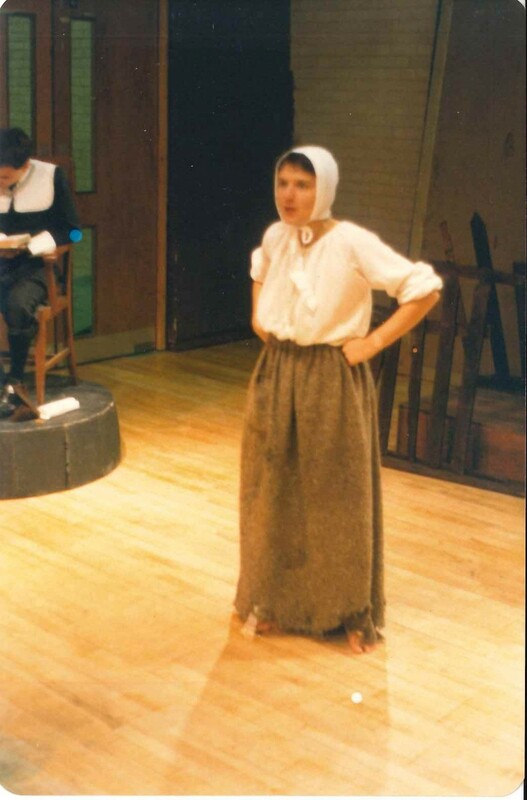 I remember the pet squirrel because Bensted shouted this out at me (playing the witch) in performance and it came out as a high pitched squeak which we all got the giggles about. 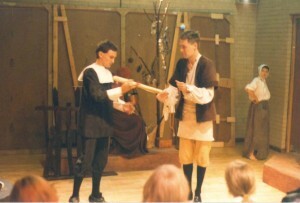 Cast included James Castle, Peter Bensted, Sara Hardy and Simon Rose. When our mock policeman came in to take the bag lady away, all the boys were adamant it wasn’t a real one – they knew what a proper ‘rozzer’s’ uniform was like. Hackney Downs School had just suffered an arson attack so of course the reason why our bag lady was on the streets was because her house had burned down and she had lost all her family. 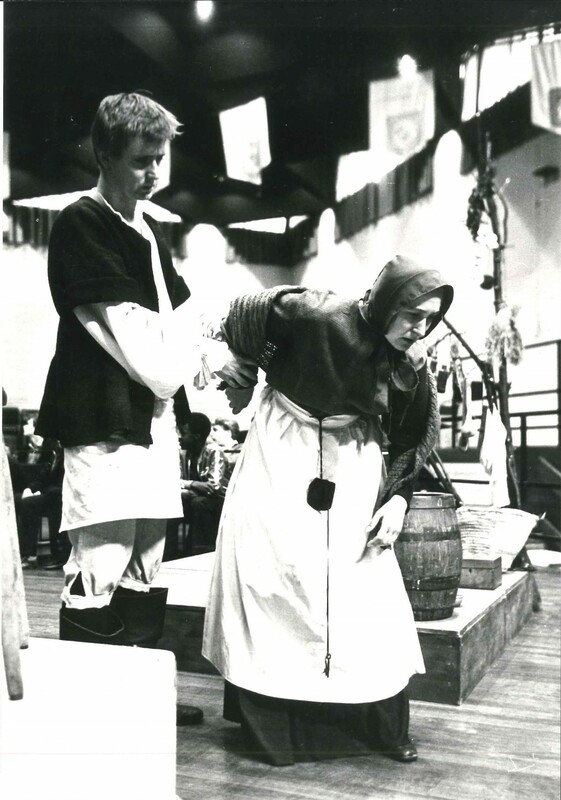 When I awoke from my stupor in the hospital bed I was VERY careful not to corpse when I said those famous words ‘Where am I?’ Our audience were enrapt. 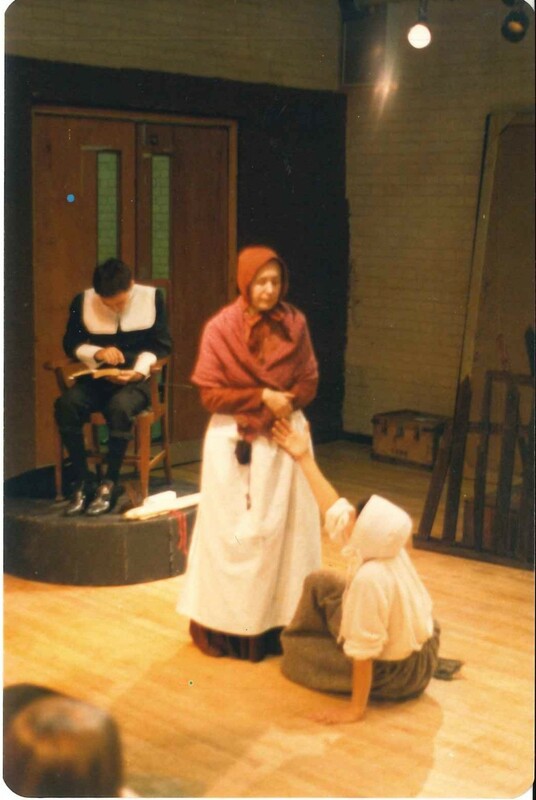 I felt very honoured to be acting out their stories. You can read more memories from Penny here. I played young Margaret in The Witch of Wapping and particularly relished playing opposite Penny O’Connor’s feisty Witch. 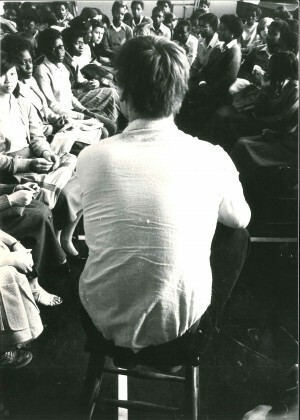 For our follow-up workshop I played the tramp who had somehow got into the school and was sat down and questioned by everyone. I browned my teeth and wore a smelly costume to make it more convincing. I recall on one occasion that I was hanging around in the school corridor, waiting for my cue to enter and disrupt proceedings when a strong hand clasped my shoulder from behind. 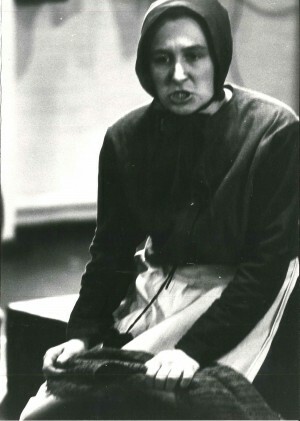 It was the Caretaker attempting to eject me! 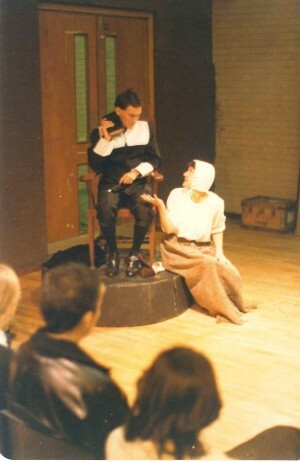 It took a lot of persuading before he allowed me to proceed. 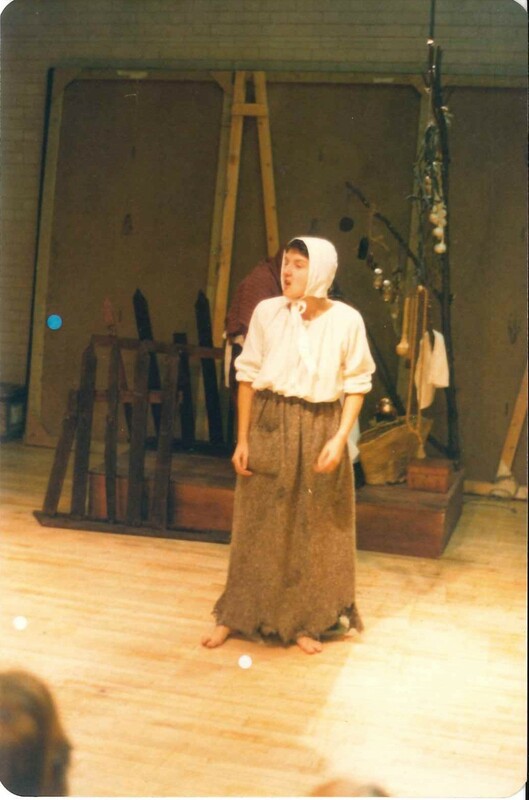 You can read more memories from Sara here.